Turkey has accused Saudi Arabia of a "cultural massacre" following the reported demolition of an historic Ottoman castle near the holy city of Mecca. Ankara says it is lodging a protest with Unesco - the United Nations organisation responsible for the preservation of cultural relics. It compared Riyadh's actions to the destruction of the giant statues of Buddha by the ousted Taleban in Afghanistan last year. The Saudi authorities are said to have agreed to pull down the al-Ajyad Castle to build a housing complex to accommodate Muslim pilgrims visiting the holy shrines every year. The BBC's Roger Hardy says the dispute is straining the normally close ties between two pro-Western Muslim states. The castle - on a hill overlooking the Grand Mosque - was built in 1780 by the ruling Ottomans to protect the city and its Muslim shrines from invaders. Turkey's Culture Minister Istemihan Talay said his country wanted Unesco to condemn the Saudis. "There is a similarity between the Taleban's destruction of the Buddha statues in Afghanistan and the Saudi authorities' enmity toward this legacy of the Ottoman era," Mr Talay told the Associated Press news agency. "This is a crime against humanity and Unesco should expose this disgraceful and ugly destruction and cultural massacre," the minister said. 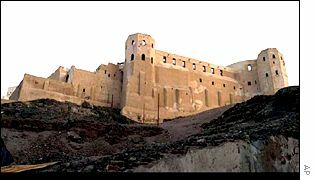 The Saudi authorities have not confirmed the destruction of the fort. The Turkish Government says it was given assurances last year that the castle would be preserved. Reports of the castle's destruction angered many in Turkey. "The Saudis appear to have made destroying Ottoman relics their goal," AP quoted Orhan Arslan, deputy chairman of the pro-Islamic Great Unity Party. 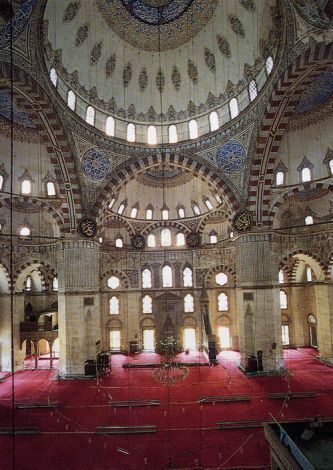 "Ottoman cultural heritage is being eradicated." The Turkish media followed suit. "King Fahd is erasing Turkish footprints," Hurriyet newspaper said in a front-page headline. Ottoman Turks once ruled a vast empire ranging from the Arabian Peninsula to the Balkans and North Africa. The empire finally disintegrated at the beginning of the 20th Century - when modern Turkey was set up as a secular state. Ankara says everyone should protect the cultural legacy of the Ottoman empire. The Turks suspect that the Saudis saw the fort as an unwelcome reminder of Turkish rule. "Cultural heritage in every country is everybody's common property, no matter what their origin or the period they belong to," the Turkish culture minister said.